Here you can always find Emulicious Downloads to get the most recent release of Emulicious. Download of KiddEd can be found on KiddEd’s page. Emulicious runs on Windows, Linux, Mac OS(X) and any other operating system supporting Java SE. All you need to run Emulicious is Java 1.6 or newer. No installation needed – just extract all files and run Emulicious.jar (or Emulicious.bat if you’ve downloaded Emulicious (with Java for Windows)). If you’re running Windows and don’t have Java installed and don’t want to install it you can download Emulicious (with Java for Windows). It contains the Java binaries necessary to run Emulicious. After the download has finished you need to extract all files to a directory of your choice (running Emulicious directly from the zip archive won’t work). After extracting all files you can start Emulicious by running Emulicious.bat. Windows might tell you that the file could harm you but you can convince yourself that it doesn’t cause any harm by opening the file with a text editor to see that it’s only contents are start java\bin\javaw.exe -jar Emulicious.jar %*. That means running Emulicious.bat tells Windows to start Emulicious.jar with Java. %* means that it should pass through all arguments passed to Emulicious.bat to Emulicious.jar. This allows you to drag&drop ROM files on Emulicious.bat to make it load the rom directly on startup. In order to play a game you will need a ROM of it. A ROM is an image of a game cartridge. ROMs for commercial games are copyrighted, so it’s only legal to have a ROM if you also own the original game cartridge. You might be able to find some ROMs on the internet. 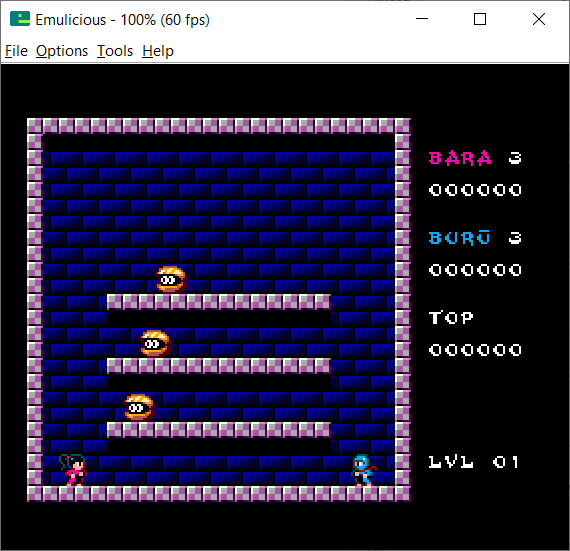 Emulicious also supports zipped ROM files, so you don’t have to extract them before you can play.